Today I am want to share a sweet little gift idea with you. It's brought to you by our friends over at FabScraps. 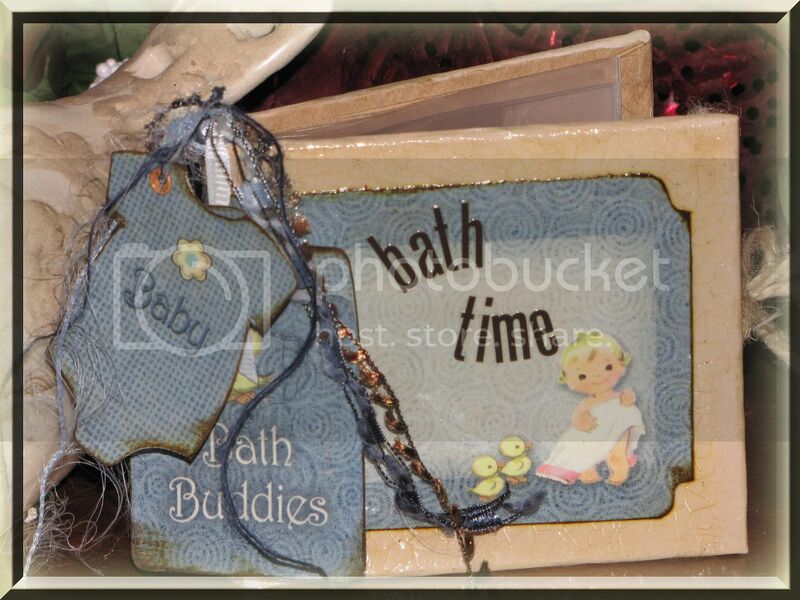 These adorable little cut out kits are perfect for cards, layouts or these mini brag books. Not to mention that all their lines they carry partner with that vintage look that Helmar's Crackle brings to the table. 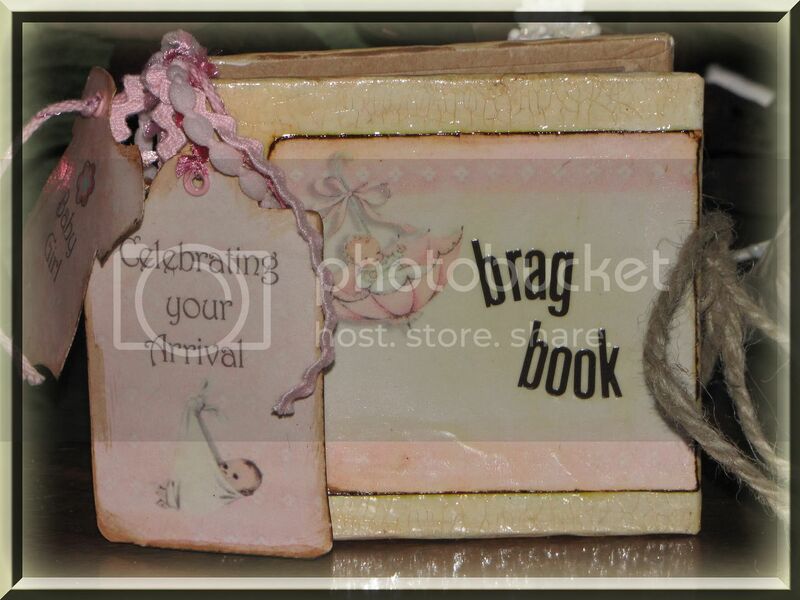 These are adorable mini Brag Books. For step by step instructions please see the Helmar Blog. Close up of the wonderful Crackle finish. I just think this is such a sweet little gift to give to someone with a new baby. Hope you have enjoyed this week of FabScraps... there is still more to come. Check in every day!